Bankruptcy and debt law covers issues such as foreclosure, loan payments (credit cart debt, student loans, medical bills), repossession, wage garnishment and the declaration of bankruptcy when debts become impossible to manage. Bankruptcy is the first step a person or business makes towards financial health is debt management. If the debt is too large to overcome, Bankruptcy helps people and businesses who are unable to pay their bills to those they owe. It wipes away much or all of their debt and gives them a fresh start. Chapter 7 and Chapter 13 of U.S. Bankruptcy Code are frequently used for personal bankruptcy and Chapter 11 for business filings. Under Chapter 7, the debtor’s non-exempt property is sold and the proceeds are distributed between the creditors. Under Chapter 13, the debtor keeps the property and a “reorganization plan” is created to pay creditors over the next 3-5 years. It is prudent to obtain legal advice from a bankruptcy attorney or debt specialist before deciding to file for bankruptcy. A bankruptcy filing can stay on your credit report for up to ten years. 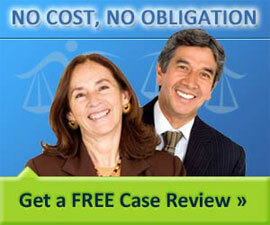 Starting an action for bankruptcy in federal Bankruptcy Court usually requires a fee. This is a list of how much it costs, getting the fee waived as well as other filing fees you might encounter.